Thinking back I have done a surprising amount of mountain biking for someone who is afraid to point a bike downwards on a rocky path. Pop me on a good downhill on a road bike and I will be distinctly disappointed if I don’t reach between 30-40mph. Do the same on a mountain bike and I prefer an average of 3-4mph, preferably with me walking beside the bike. 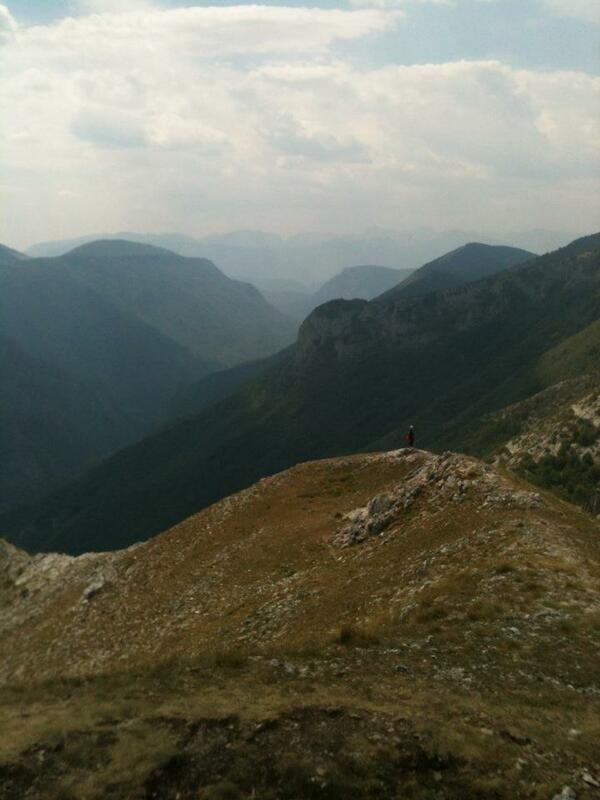 However I have mountain biked in the Peak District, Scotland, Chamonix and a few other places, most memorably Bosnia. I had seen that Exodus ran a nice, moderate graded, off road cycling trip in Croatia and really fancied giving it a go. I had been to Dubrovnik in Croatia once and wanted to return to visit the north of the country. My travel companion was unimpressed. If we were of roading we were going to do it properly. 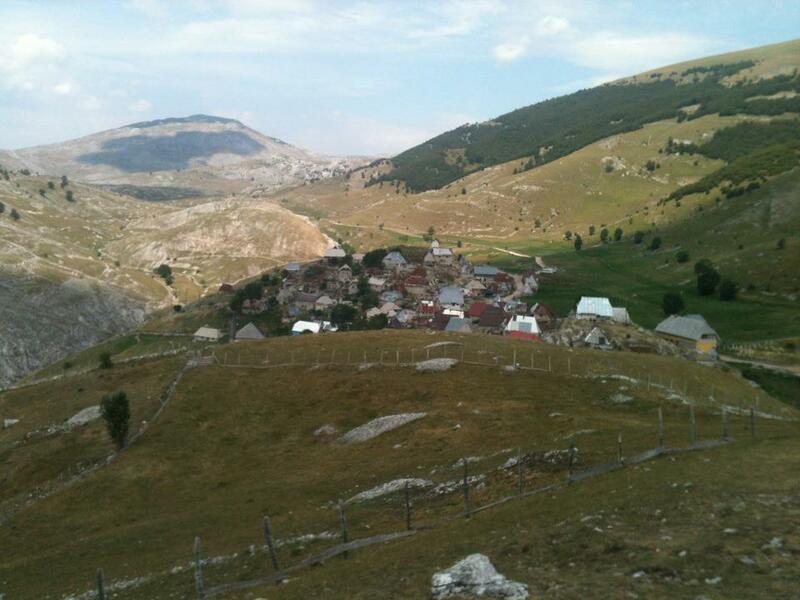 The Bosnia and Montenegro trip was graded moderate to challenging; we would go on that. You could take your own bike with you but we chose to use bikes provided by Exodus. Our head cycling guide for the week, Nino, was the proud owner of the Ciklo Centar, the first Specialized Concept Store in Bosnia. He soon had us fitted on our bikes and took the whole group for an initial ride around the outskirts of Sarajevo. There were only around nine of us in the group and it was clear that a couple of the guys were pretty serious mountain bikers. However, it really was a mixed ability group and we had an enjoyable first night out eating, drinking and getting to know each other. It soon became apparent that we were in excellent hands with our guides. Lorence was in charge of us for the week but was not a cyclist himself and drove the support vehicle each day. He made a great deal of telling us how exhausting it was to sit and drive all day whilst we relaxed on the bikes! His little touches throughout the week really made the trip a pleasure; making sure I always had a good vegetarian alternative, regularly pulling up alongside us to offer trail mix and printing us crib sheets of basic Bosnian phrases to use, to name a few. I shan’t go through the itinerary of the week. You can pop here if you want to take a look. 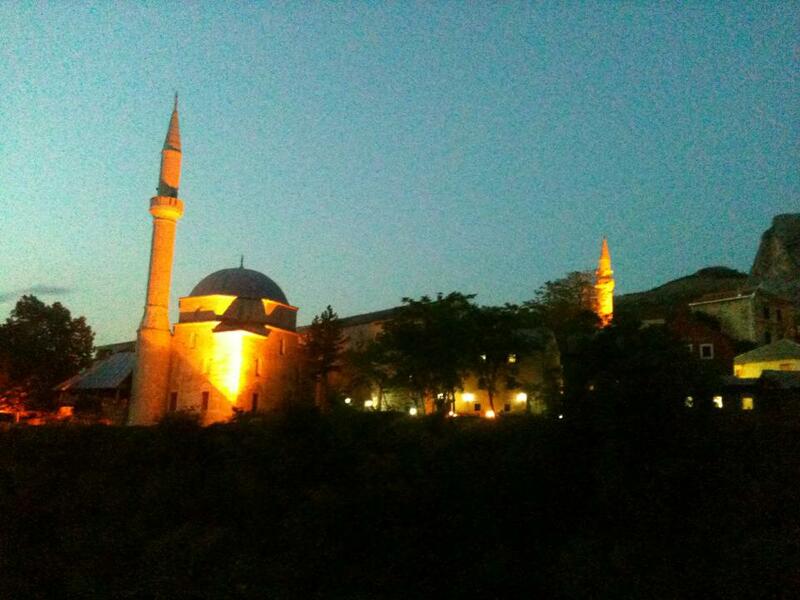 But I will tell you that I truly loved Bosnia. It is easy to say it was a beautiful country but harder to sum up why. Was it the people? As I strolled through Sarajevo I was struck by how naturally and easily the different religions sat alongside each other. There was an ease of friendship and acceptance of one another’s beliefs which was refreshing to see. There was, of course, a slightly toughened edge to many people. The Bosnian War is not yet a distant memory and the scars on people and buildings remain. However, a wicked and often sarcastic, sense of humour shone through from many. I was only three when the Winter Olympics were held in Sarajevo in 1984. The remains of many of the specially built structures still remain and can be seen in the pics in this great article. I stood on a medal podium (pretending I had won gold of course) and imagined the mountains buzzing with thousands of people. Those mountains really are worth visiting for. Sadly, I lost most of my photographs from the week. The few I have give a clue of the scenery we got to see. Whole mornings of climbing up rocky passes gave way to an hour or so of downhill. I was pretty terrible at the downhill. For someone who had come on a mountain biking holiday I was pretty keen to stick to the roads. I also took a bit of ribbing for saying that I didn’t mind the uphill’s! Luckily Lorence was always on hand for those of us struggling. He would pull up alongside and say quietly “You know, it is supposed to be a holiday.” I only took up the offer of a lift once but it was good to know it was there. The absolute highlight of the trip for me had to be Mostar. 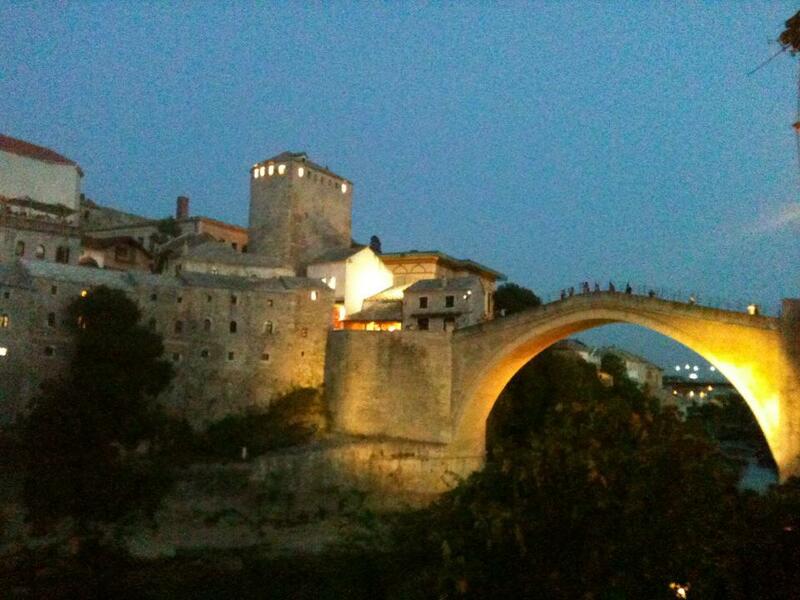 With it’s winding, cobbled streets and markets, Ottoman style buildings and the famous Stari Most bridge. 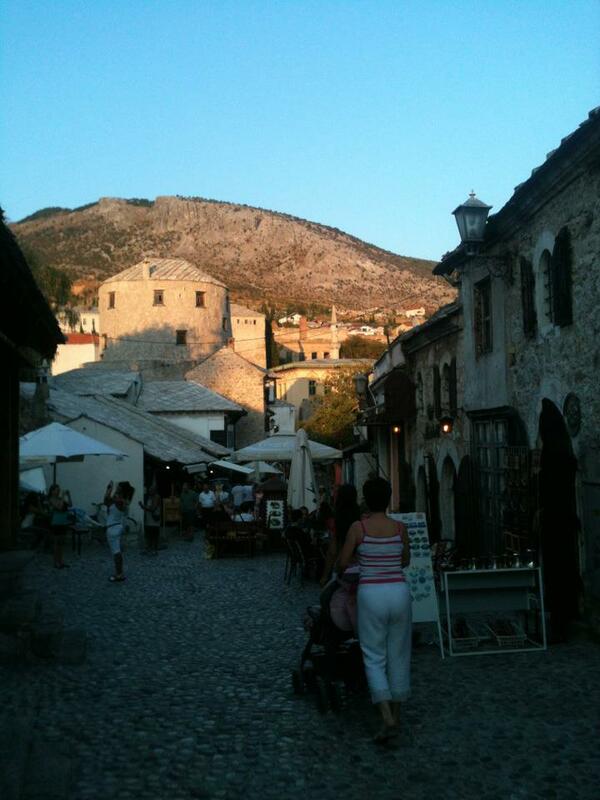 Mostar was extremely heavily bombed during the war and huge effort has been made to restore it. Go there and be sure to stay the night because that is when it is truly magical. When cycling through the cooler forests we were warned “Watch out for the bears, you probably won’t see one but…Oh and ladies, when you need to go into the woods to pee, check for snakes.” I love the fun of an adventure holiday! On the final day we climbed and climbed into the mountains again and then had a long, sweeping descent back through the woods. Finally, finally something clicked! I let the bike move underneath me and enjoyed the swooshing twists and turns. Back in Sarajevo, after a week on the bikes, we headed to the Sarajevo Brewery for rewards aplenty! There are sobering reminders of past conflict throughout Bosnia. You must not go off the trails as there are many unexploded mines still unfound. These still kill many people each year. The War Tunnels Museum just outside Sarajevo is a must visit to gain some understanding of this city under siege. The country continues to be rebuilt and the countryside gradually reclaimed from the mines. 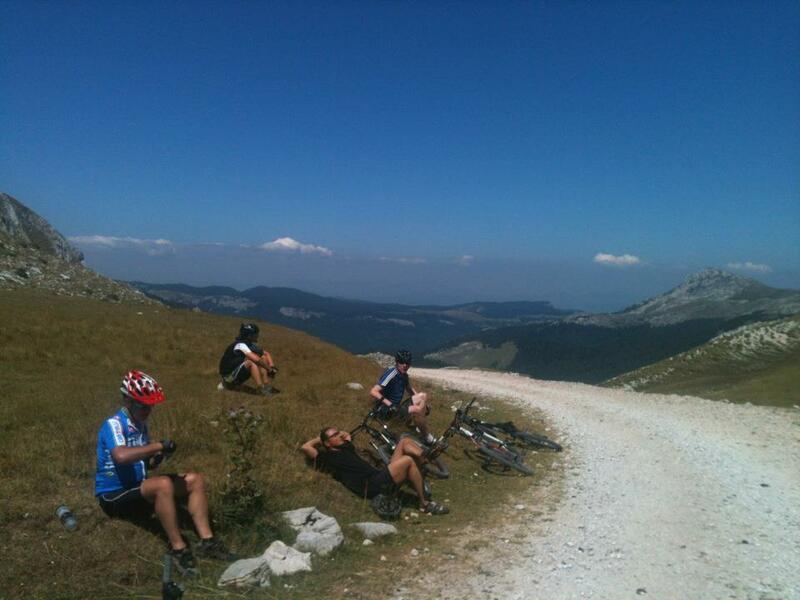 Mountain biking might not ever be my sport but it truly was a fantastic way to see Bosnia. Previous Post Pre-race Nerves: Why Do They Jangle?! Next Post Standen House – A Recovery Adventure!